Weighty Matters: Saturday Stories: Must Watch on ISIS, Pastafarians, Ebola, and Health Care. Saturday Stories: Must Watch on ISIS, Pastafarians, Ebola, and Health Care. VICE and their must watch full length story on ISIS. As one of the comments on my Facebook page put it, this is the stuff of World War 3. 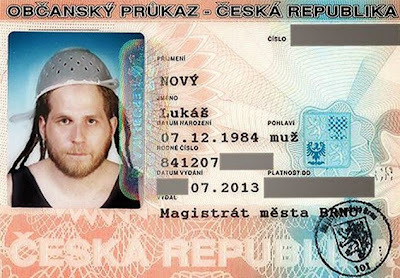 CTV's Josh Elliot covers the story of a British Columbia man who is citing his right to religious freedom as rationale for not taking off the colander he wears on his head when having his driver's license renewed (which by the way is something you are legally allowed to do in a number of countries including the United States and the Czech Republic (as seen up above)). The Toronto Star's Jennifer Yang and her harrowing story of Ebola in Sierra Leone. Journalist Matthew Herper with a fabulous piece on what he learned about health care when his cat died.